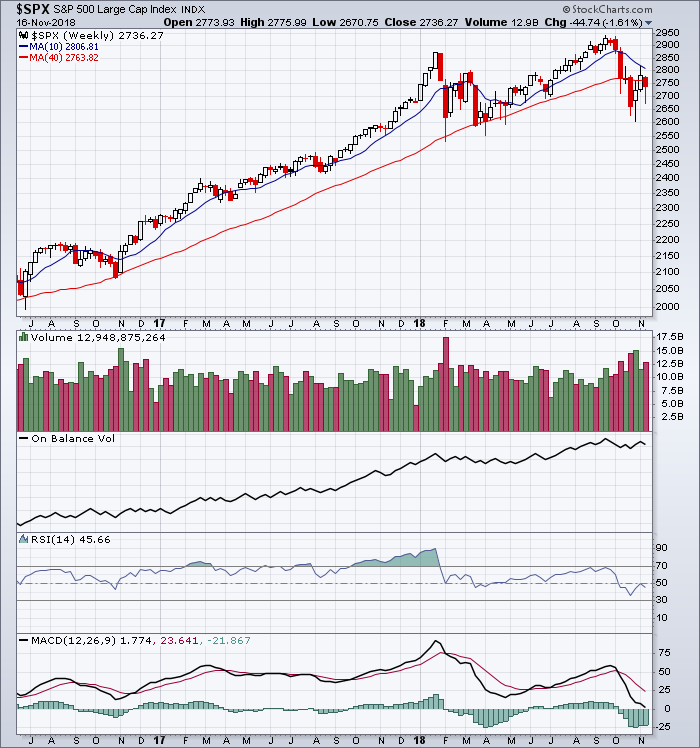 The view on the weekly chart shows the index trading below the 40-week moving average. RSI and MACD are both confirming the bearish sentiment. It will test 2550 to 2600 support zone. Reference a previous post as the S&P 500 was attempting to hold the 40-week moving average. This entry was posted in U.S. Indexes and tagged S&P 500 on November 18, 2018 by Trader.